The Capital SCF Reading List features titles selected by our team. It covers various topics from Tech and Innovation to Corporate Finance and Investment. It is a good way to get in the mindset of business leaders and innovators and it is, beyond question, the best way to get to know us better. Behavioural Investing: A Practitioner’s Guide to Applying Behavioural Finance explores the biases we face, the way in which they show up in the investment process and urges readers to adopt an empirically based sceptical approach to investing. This book is unique in combining insights from the field of applied psychology with a thorough understanding of the investment problem. The content is practitioner focused throughout and will be essential reading for any investment professional looking to improve their investing behaviour to maximise returns. Business Model Generation is self-described as a handbook for visionaries, game changers and challengers striving to defy outmoded business models and design tomorrow′s enterprises. We think it is a useful framework for analysing and documenting businesses. Disruptive new business models are emblematic of our generation yet they remain poorly understood, even as they transform competitive landscapes across industries. Business Model Generation offers you powerful, simple, tested tools for understanding, designing, reworking and implementing business models. It will teach you powerful and practical innovation techniques used today by leading companies worldwide. You will learn how to systematically understand, design and implement a new business model or analyse and renovate an old one. The Education of a Speculator is a fascinating story of Victor Niederhoffer's life and experiences as an investor and speculator. A useful book to learn from, at modest expense, the lessons learned by Victor at considerable expense. 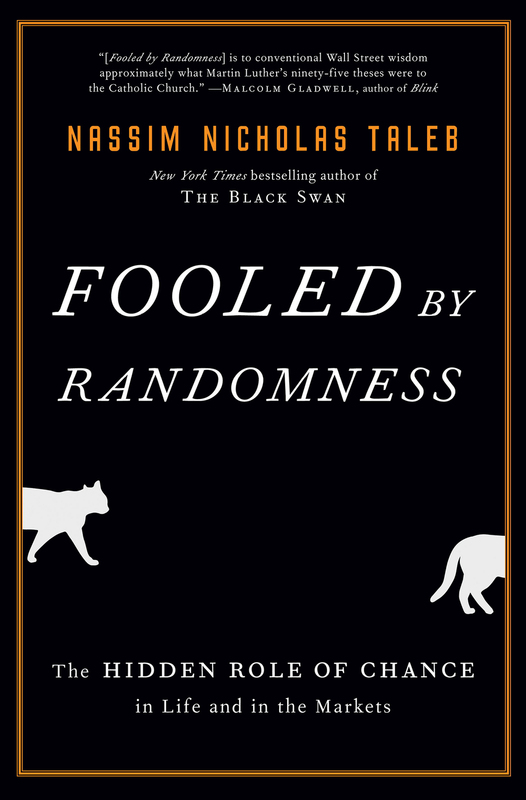 Fooled by Randomness is a standalone book in Nassim Nicholas Taleb’s Incerto series, an investigation of opacity, luck, uncertainty, probability, human error, risk and decision-making. Much of Taleb's subsequent work is less interesting, in our view, but this book was the one that made his name. This book is substantially a treatise on how we perceive luck in our personal and professional experiences. Those of you that have studied probability and statistics to degree level will find some of it rather obvious, but human being in general continue to believe events are non-random, finding reasons where none exist. The Innovator's Dilemma is the bestselling classic on disruptive innovation by the renowned author and speaker Clayton M. Christensen. While his framework has since been criticised, and counter-examples shown, it remains a useful way of considering the forces of disruption, particularly those driven by technology, on incumbent businesses. In this classic bestseller, innovation expert Clayton Christensen shows how even the most outstanding companies can do everything right yet still lose market leadership. 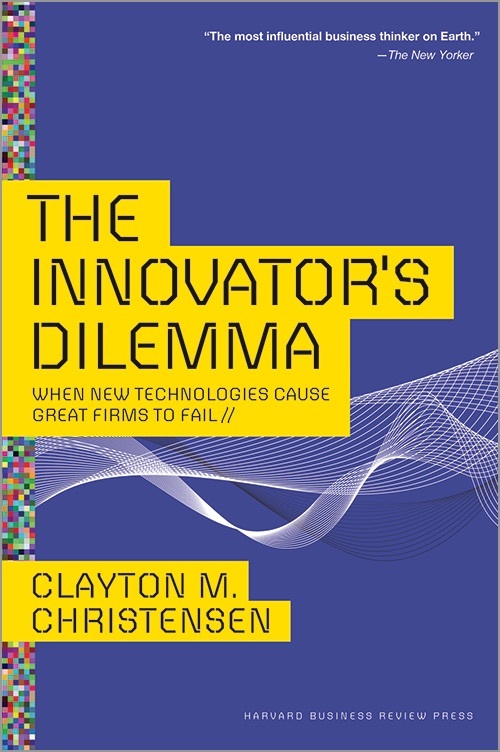 Christensen explains why most companies miss out on new waves of innovation. No matter the industry, he says, a successful company with established products will get pushed aside unless managers know how and when to abandon traditional business practices. Offering both successes and failures from leading companies as a guide, The Innovator's Dilemma gives you a set of rules for capitalising on the phenomenon of disruptive innovation. Rework shows you a better, faster, easier way to succeed in business. Read it and you'll know why plans are actually harmful, why you don't need outside investors and why you're better off ignoring the competition. The truth is, you need less than you think. You don't need to be a workaholic. You don't need to staff up. You don't need to waste time on paperwork or meetings. You don't even need an office. These are all just excuses. What you really need to do is stop talking and start working. This book shows you the way. You'll learn how to be more productive, how to get exposure without breaking the bank and tons more counter-intuitive ideas that will inspire and provoke you. 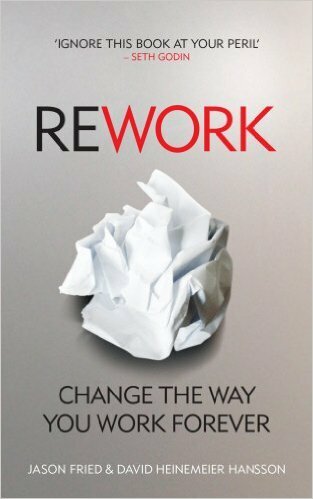 With its straightforward language and easy-is-better approach, Rework is the perfect playbook for anyone who's ever dreamed of doing it on their own. It has the advantage of being printed in large type, with short sentences and short chapters. You should be able to get through it in one sitting. We will finish off the Capital SCF 2016 Reading List with a very humorous book concerning the relentless ride of the meerkats - A Simples Life. Aleksandr Orlov has in the last year become one of the most loved figures in British culture and his catchphrase - Simples! - can be heard from the playground to the office. Written in his inimitable voice, his autobiography will offer the same humour as his TV ads, giving us the full story of his ancestors' journey to Russia, the low-down on his life as entrepreneur and founder of comparethemeerkat.com and his love of grubs and cravats.